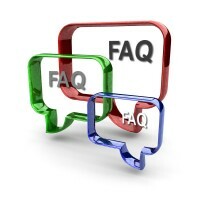 Frequently Asked Questions - DE Inc. If you have a question that is not answered here, feel free to submit one via the comments below. There are 2 primary sets of factors influences a business’ ability to grow – leadership factors and management factors. Leadership factors are those things necessary to lead your team toward achieving your vision. Management factors are those things we most frequently associate with business — finances, personnel, systems, business assets. Learn more by reading our blog post titled The Search for Business Growth Continues. Business self-sustainability is a concept of developing your business in a way that it works by itself without you being there while creating the profit you want to live the lifestyle you want. Read the blog post What Is a Self-Sustaining Business? As for why it is important in a nutshell it’s because business self-sustainability makes your business worth more while reducing much of the risk that keep you up at night as a business owner. Read our post title 5 Reasons to Make Business Self-Sustainability a Priority to find out more about why this is a topic you really need to make part of your business plan. What can a business owner do to create scaleability in their business? Business owners need to create clear procedures for everything done within their business so that others can be quickly trained to deliver their products/services at the same level of quality as they do. With the proper systems in place customers get the same experience time after time as they received from the owner in the beginning no matter who is delivering the experience. To find out more on this topic read our blog post titled 5 Steps to Establishing a Repeatable and Sustainable Business. Why do businesses get to a certain point and then just kind of stagnate and how can a business owner avoid this happening to their company? More often than not a business get stuck in what we call nowhere land, because the owner has exhausted their leadership or management skills. As a result the business cannot continue to grow because the proper objectives are not being set based on the business’ stage of the growth cycle. To help small business owners improve their leadership or management skills DE, Inc.’s developed our SPARC Framework and supporting small business tools. Many small business owners have successfully gotten themselves unstuck by using DE, Inc’s methods and coaching. What is the biggest misconception that you hear and see with companies in the early stages of growth? I need $250,000 to start my business. What you need when you’re starting your business is proof that it will work. That means showing that people will buy what you plan to sell. You just need to get out there and sell what you have. Too frequently startups try to build their ultimate vision for their business instead of the first step in getting to that vision. I recommend that you ask a different question. Read the article Build a Successful Business by Asking the Right Question to find out more about asking better questions. How can you start or grow a business if you don’t have much money? The problem usually is that startups ask the wrong question. Instead of asking, “how do I get $250,000 to start my business,” you should be asking “how can I build this business WITHOUT any money.” The resulting answer and plan will help them develop the proof necessary to get funding down the road. And at the same time, gets the business started quickly instead of wasting months and even years trying to convince someone to invest in an idea. Look Mark Zuckerberg started Facebook without a dime! And if you’ve every seen the movie the Social Network, you’ll notice that the amounts of money that they had when they were beginning were hundreds of dollars not hundreds of thousands. Asking your brain the right questions and gives you better answers that will help you ultimately achieve your desired outcome! Do I need a formal business plan for my business? We’re going with the standard answer – THAT DEPENDS! If you are looking for funding (loan, investment, alternative financing, etc.) then you need a plan and the more complete the better chances you have getting funding. Here are some statistics of having a business plan when looking for money. You should have a business plan if you are in business. But, it only needs to be formal if you are getting funding because that’s what funding sources want to see. To run your business day-to-day we advocate what we can High Impact Business Planning. This is a 2 – 3 page plan and a simple 1 page budget. You will look at something simple like this regularly. A 25 page detailed narrative plan, not so much! What is the best way to grow my topline/revenue? The best way to grow your topline is to understand what drives it and systematically work at doing more of that! We call this “Tuning Your Revenue Engine.” Watch this short video to understand the concept. By following the DE, Inc. Tuning Your Revenue Engine model, you can begin predicting your revenue on a daily, weekly and monthly basis. When you combine this predictability with a solid sales and marketing plan that can be scaled up or down as needed, you can control your topline and ultimately grow your business as big as you want based on the resources available within your business! How do I make sure that employees are doing what they’re supposed to do? A big obstacle for businesses to grow is being able to delegate work and assuring that it gets done which really equates to creating accountability. There are several pieces of the accountability puzzle and if any of them get missed it creates problems. To understand what accountability is and what you need to do to properly apply it in your business read the blog post titled 5 Steps for Creating Accountability in Your Business. What are 3 things business owners most often overlooked in growing their business? Focus their attention on their business product or service because they believe that’s what gives their business its value. Cash flow is what give a business value. And if the cash flow is self-sustaining, that is not dependent on the owner’s involvement, then the business’ value is increased even more. Think that a business requires large investments in order to get started. This is actually a myth! The problem usually is that they’ve asked the wrong question. They should be asking “how can I build this business WITHOUT an investment.” The resulting answer and plan will help them develop the proof necessary to get funding down the road. And at the same time, gets the business started quickly instead of wasting months and even years trying to convince someone to invest in their idea. Believe that nobody else can do what they do as like they do. This is just not true! Business have been growing beyond the founder or millennia. The way it gets done is by teaching other to think and care about the delivery of your service or product in the same way that you do. This comes from developing systems that are easily taught to others while creating accountability in a way that assures that service delivery is consistently followed.